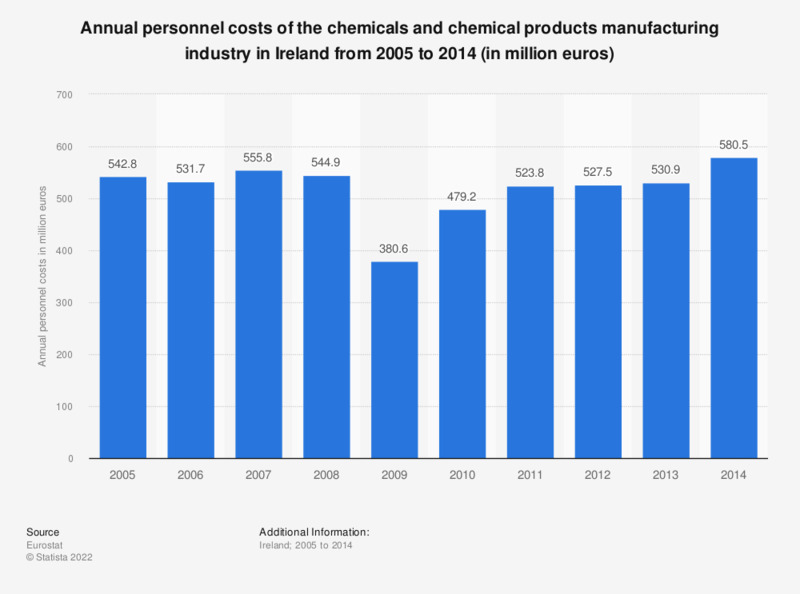 This statistic shows the annual personnel cost of the chemicals and chemical products manufacturing sector in Ireland from 2008 to 2014. In 2014, the personnel cost of the chemicals and chemical products manufacturing sector amounted to approximately 580.5 million euros. Data coverage corresponds to code C20 of NACE Rev. 2.